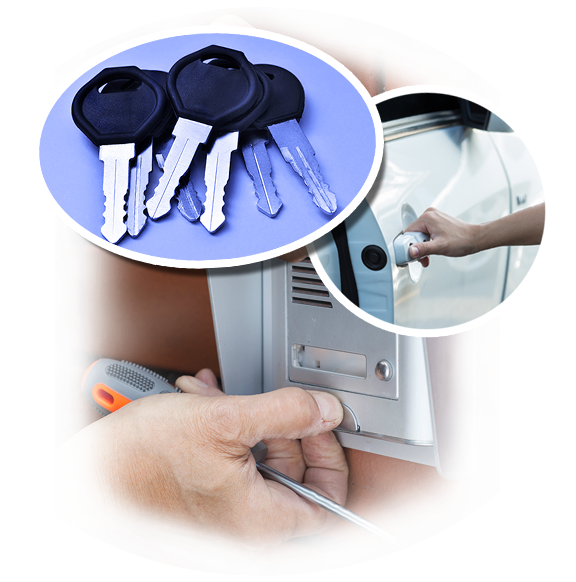 Immediate and effective service is what you need for all your auto locksmith concerns. “Locksmith Costa Mesa” has been offering that kind of service from the start. The safety and convenience of our clients are important to us, and that’s why we make sure that fast and reliable service is delivered to solve their concern. When you hire us, your satisfaction is guaranteed. Emergency car lockout is one of the areas that we specialize in and you can be sure that you’ll get help right away when you call us. All of our technicians are trained to handle vehicle lockouts regardless of the model of the car. Whether you have a classic car or the latest model, you can trust that our company can deliver the service promised. Lockout issues can happen anytime and it can be a frustrating situation. Breaking the door of your car to get in is not a good solution as this could cost you more problems. Our company has the right tools to do the job fast and properly without damaging anything. Leave this kind of issue to our experts and you’ll be back on the road in no time. Locksmith Costa Mesa is a trusted provider of emergency lockout service. You don’t have to experience the inconvenience of being locked out of your own car for a long time as we’ll send our technicians right away to open your car’s door. This is also true with your vehicle’s trunk. Emergency trunk opening can also be done so you can have access to your car’s trunk again. The same goes with a locked steering wheel and keys that can’t be turned in the ignition. While we are known for our lockout service, this is not the only thing our company provides as you can count on us for all your auto lock and key concerns. One of the most common services that our clients need help with is lock repair. If your car’s lock is damaged, don’t let it stay that way for a long time to avoid security risks, as well as to prevent the problem from getting worse. Our specialists will determine the extent of the damage so the appropriate solution will be provided. You can also go to us for your lock replacement and upgrade needs. Our technicians can also take care of the keys concerns on your car. If you need a copy of your keys, we can duplicate them so you can have extra copies. We can also fix broken keys and replace those that are lost. It doesn’t matter whether you have a regular key or a transponder key that requires programming as our experts can handle that. Save our number so you can call us anytime you need any of the services we offer.